Two 19th Century nuns, who lived in what was then Ottoman-ruled Palestine and were native Arabic speakers, will be canonized by Pope Francis on Sunday, May 17. 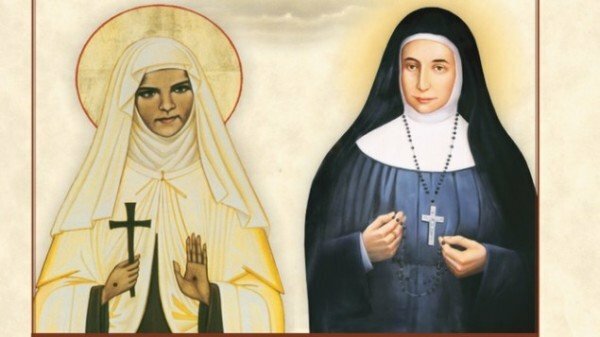 The nuns, Mariam Bawardy of Galilee and Marie Alphonsine Ghattas of Jerusalem, will be among four new saints declared in Rome’s St Peter’s Square. Palestinian President Mahmoud Abbas and over 2,000 Christian pilgrims from the region will be present at the ceremony. The move is seen as a token of Vatican support for dwindling Christian communities in the Middle East. On May 16, Pope Francis met Mahmoud Abbas at the Vatican. Mahmoud Abbas’ visit came just days after the Vatican formally recognized Palestinian statehood in a treaty. The treaty states that the Holy See favors a two-state solution to the conflict with Israel and allows the Vatican to oversee aspects of Roman Catholic life in the areas President Mahmoud Abbas controls. Israel expressed disappointment with the treaty, which uses the term “Palestinian state”. Mariam Bawardy was born in Galilee to Greek Catholic parents from Syria and Lebanon. A mystic, she is said to have carried out many miracles and to have experienced stigmata – wounds representing those suffered by Jesus on the cross. Marie Alphonsine Ghattas – who was born to a Palestinian family in Jerusalem – co-founded the Congregation of the Rosary Sisters, which today runs many kindergartens and schools. Both nuns lived through tough conditions, overcoming male dominance in Ottoman society, poverty and ill-health while helping others. They are said to have seen apparitions of the Virgin Mary and remained in close communication with her. By granting these women sainthood, the Catholic Church is celebrating their good works but it is also showing support for Christians in the birthplace of their religion. The total number of Christians in Israel and the Palestinian territories has declined to less than 2% of the population. This is partly because of growing Jewish and Muslim populations, but also because of the conflict and the chance of better opportunities abroad.